You Can Run Your First 5k! Overcome your fears and achieve your goals: Here is how. Have you ever dreamed of running in a 5k race but never thought you could actually do it. Instead millions of doubts, questions and concerns flashed through your mind; How would you prepare for it? Are you actually capable of completing it? Where would you even start? Could you get injured? Is it even worth it? So many questions run through your mind, causing you to doubt your abilities and pass the idea off as a brief moment of excitement. Don’t let your dreams stop here. Give your dream a chance. Challenge yourself and let your body show you what it is capable of! You can do anything if you put your mind to it and you CAN finish a 5k race! Think back to how you felt when the idea first ran through your mind. You saw yourself running in the race, crossing the finish line, and feeling absolutely fantastic. This does not have to be a fantasy. Make your dream a reality. Follow the tricks, tips, advice and training plan provided in this article. Step 1: Change your mindset. A 5k race is achievable for everyone and anyone. You can, and you will, complete your first 5k race. Now that you have read that sentence, repeat it, think it, and believe it. Tell your friends. Tell your family. The more you say, the more you will believe it. At times when your beliefs run low, use visualization and envision yourself crossing the finish line. When times are tough and you don’t feel like exercising in preparation for the race remind yourself of your goal and how are going to feel once you achieve it! Select the race that you plan to complete. Use local race calendars to find a race that is close by, in a convenient location and is runner/walker friendly. Choose a race that is within the next three months to prevent any relapse or a change in mindset. Ensure that you, your family and your friends are not busy that day. Once the race is selected – sign up! Don’t put it off and forget about it. Step 3: Begin working toward your goal. In order to prepare for the race start your training by walking. Walk three to five days per week for a total of 20-30 minutes. Walking will create your baseline fitness level, which you will improve upon as you are training. 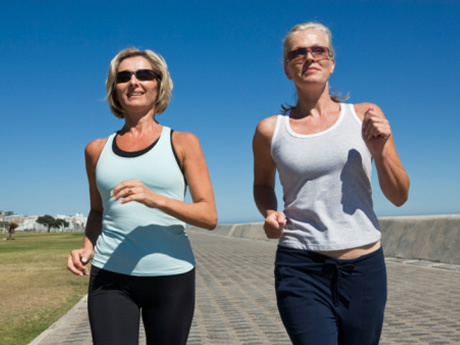 Once you feel comfortable walking several times per week for a few weeks, begin to implement jogging into your walk. Jog for several seconds, followed by walking for a few minutes. Increase the amount of time you jog during each workout until you are able to jog for a full 20 minutes or more. Follow the 8-week long training plan provided below. 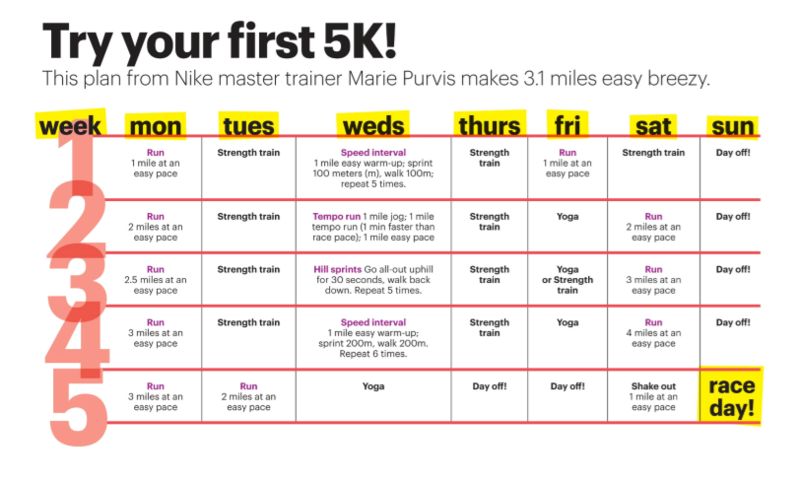 The plan will guide a new runner to walk/jog their first 5k race! Wk. 1 Walk 15 min. Stretch Walk/Jog 15 min. Stretch Walk 15 min. Stretch Walk/Jog 20 min. Wk. 2 Walk 15 min. Stretch Walk/Jog 20 min. Stretch Walk 20 min. Stretch Walk/Jog 25 min. Wk. 3 Walk 17 min. Stretch Walk/Jog 25 min. Stretch Walk 23 min. Stretch Walk/Jog 30 min. Wk. 4 Walk 17 min. Stretch Walk/Jog 25 min. Stretch Walk 25 min. Stretch Walk/Jog 30 min. Wk. 8 Walk/Jog 20 Stretch Walk 5, Jog 15, Walk 5 Stretch Jog/Walk 20 min. Stretch 5k Race! In an effort to feel fully prepared for the race it is important to feel as though you “fit in” with other runners. Try stopping in to a running specialty store and check out the different styles of shorts, tops and shoes that were created for runners. The clothing and specialty outfits are not essential. They were created for comfort, support and injury prevention. Pick out an outfit that makes you feel comfortable running. Warm Up: Before each workout complete a 10 to 15 minute warm up. 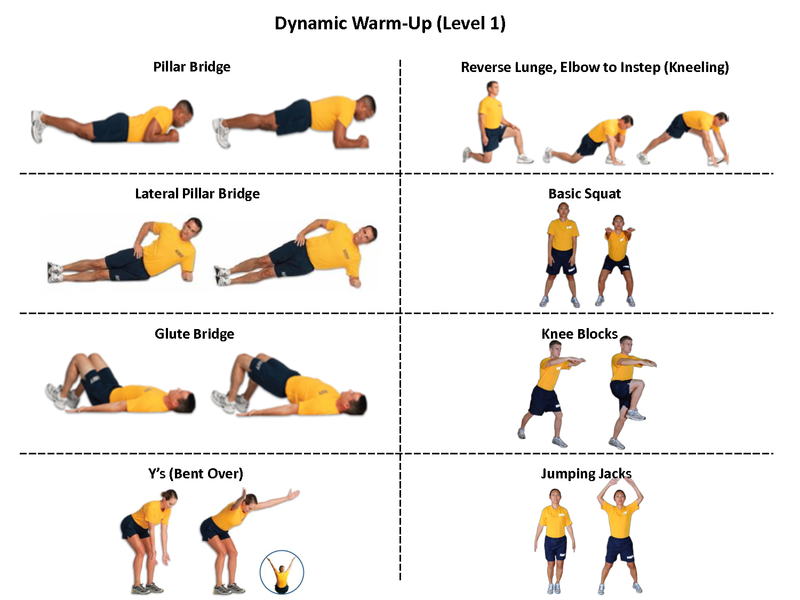 The warm up is crucial for preventing injury and ensuring a great workout. Run or walk at a speed that allows you to maintain a conversation. You should not feel out of breath or tired at this point. The Workout: Follow you training plan and run and/or walk for 10 to 30 minutes three to four times per week leading up to the race. Cool Down: Once your workout is completed the body should be adequately cooled down before fully stopping. Begin slowing your speed down, allowing the heart rate to return to resting levels. Walk or run at a conversational pace for five to ten minutes. Follow your cool down with stretching. Hold your stretches for 10 – 15 seconds to create flexibility and prevent injury. Step 6: Follow these great tips to motivate you in preparation for your first 5k race! – Find a running partner buddy to train with, run the race with, or hold you accountable. – Set a goal finishing time. – Create a vision board to place on your wall reminding you of your goal. – Lay out your running clothes the night before a workout. – Share the good news. Tell friends and family that you will be participating. Invite them to cheer you on. – Keep a training journal to monitor the progress you are making. – Look up the race map to fully prepare you for the event. – Don’t beat yourself up if you miss or skip a workout. – Celebrate each accomplishment along the way. – Enjoy the journey and have fun! Stay Cool on Your Next Run with These Great Tips! All year long we count down the days till the sun is shining, the ocean water is glistening and the warm sand sits beneath our toes – alas summer has arrived! When you live along the Shore, you can’t help but love summer. When you are a runner this love has a completely new meaning. Warm weather means more daylight which equates to more running – and who doesn’t love more running? While the warm weather and increased daylight can be fantastic the summer season does have the potential to create some critical situations such as; heat exhaustion, heat stroke, severe dehydration, sun burn, and severe body fatigue. In an effort to stay cool and healthy this summer while running, try following the following tips. Hydration is critical when running during the summer months. Dehydration can lead to difficulty breathing which can lead to injury, falling faint, or even heat stroke. When the body is lacking hydration the amount of blood volume decreases causing the heart to pump harder which will impact performance. As a result it is best to drink water before a run, during a run and after the run. Be conscious of your hydration level. Try checking the color of your urine to determine how hydrated your body is. The darker the color the lower the level of hydration. The lighter the color the greater the level of hydration. Before you begin your workout or next race be sure to start with a warm up. I know this may sound counterproductive especially if temperature is warm and your body already feels warm, however the warm up is a very important part of running. The warm up allows the body to adapt to the movement that you are preparing for. Blood is pooled into the legs and arms away from the organs in order to allow you to run. The warm up also allows the body time to acclimate to the current temperature. If you spent the morning indoors with the air conditioning on your body will not be prepared to jump outside in the heat and start running. The warm down, or cool down, is also important. While running outdoors during the summertime it is important to apply sunscreen to skin surface areas that will be exposed on the run. Sun burns and skin cancers are not fun, therefore preventative measures such as applying sunscreen early and consistently are essential. Benabio suggests applying sunscreen with an SPF of 30 while consistently re-applying. When applying sunscreen make sure to cover all of your bases; face, lips, head, ears, chest, arms and legs. While I can suggest to you specific clothes to wear in the heat it is equally important to recognize clothes not to wear in the heat. Clothes that are black, made of cotton, are too big, and stick to the body should not be worn when running in the heat. Items that should be worn include dri-fit and sunlight reflective clothing, sleeves to block the sun, a hat or visor and sunglasses. Each item will assist in keeping your skin health, sunburn free and the body cool. In an effort to avoid the high temperatures or high humidity try running early in morning before sunrise or late at night just before sunset, or even after if possible. Avoid running in the middle of the day when the temperatures are at their high and the sun is strongest. Both running early and late in the day may seem inconvenient, however both can be very relaxing and enjoyable. Very few people are awake or out on the road at these times plus you might get a chance to see a sunset or sunrise. Try running in a new location. Seek out areas close by a body of water, surrounded by trees or in a cool area. Running on asphalt, in the middle of the day, without any trees or a breeze can be disastrous. No matter how well you have prepared for the run you will feel drained and can potentially harm the body. Seek out shaded areas and enjoy the run without the discomfort. Running is the heat can have a dramatically negative impact on the body. If the proper precautions are not taken you may find yourself feeling nauseous, sluggish, tired, ill and/or dizzy. Listen to your body. If it feels too hot to run – don’t. If you feel tired and think you should stop, don’t test yourself – not on a hot day. Recognize and feeling of concern and address it as soon as possible. When dealing with heat, err on the side of caution. Enjoy the sun and the surf this summer. Stay cool and keep running! Do you like to run in the summer? Share with me some of your favorite summer running tips! I would love to hear from you. Are you someone who would like to run, but feel intimidated or unsure where to start? When the furthest run you have ever completed was the mile run in your high school gym class running for fun can seem impossible. Don’t worry, you are not alone. In an effort to offer motivation and support in beginning your running journey, I have listed my top 10 tips to becoming a runner. Start slow: My first tip is to start out slowly. People often think that running must be completed at a fast pace, for multiple miles, almost every single day. The truth is it is best to ease into running. Start with the run-walk method. The run-walk method allows new runners to build up their running endurance, prepare and train their muscles, and strengthens their lung capacity. During the first week of your training plan the Road Runner’s Club of America [RRCA] suggests beginning walk to run interval consisting of a one-minute run followed by a four minute walk for a total of thirty minutes. Each week increase the amount of time spent running while interchangeably decreasing the amount of time walking until you are able to run for the full 30 minutes without walking. Set a goal: Whether the goal is as small as “running for 10 minutes without stopping” or “running in a 5k race” it is important to set a goal for yourself. The American Council on Exercise [ACE] suggests setting SMART goals. SMART goals are specific, measurable, attainable, relevant and time-bound. Specific goals are not broad or general. They are simplified and precise. Measurable goals have a specific distance or time. Attainable goals are within your reach. Relevant goals are relatable to your long-term goals. Time-bound goals have a set deadline. Short-term and long-term goals can also be set. Short-term goals help to build the momentum and confidence. Long-term goals are beneficial when the motivation and confidence wear thin. Keep a training journal: In an effort to track your progress it can be very helpful to keep track of your runs. Write down the days you ran, the mileage you completed and the time you completed the runs within. After each week compare and contrast each run. Make notes of where you may have run at a faster pace, a slower pace, a longer distance or a shorter distance. Learn to warm-up, cool down and stretch: For new runners it is fantastic to implement these three healthy habits early on. Starting off with a slow and steady warm up allows oxygen and blood to be delivered to the muscles and fully prepare the body for the run you are planning to complete. The cool down allows the body to ease the blood flow away from the muscles that were working and back through the rest of the body. Stretching allows the muscles that were just exercising to stretch and prevent any tightness, injuries or pain. Incorporating these three habits into your running routine will not only make you a much better and smarter runner, it will also prevent you from a great deal of pain and injury. Follow a plan: Once you have chosen your goal your next step is to create a plan that you guide you in accomplishing your goal. The plan that you choose should be catered to your goal distance and time, it should offer you ample preparation time, while also providing a manageable schedule of training runs each week. Get a good pair of shoes: It is important that you run in a supportive and comfortable pair of running shoes. Running shoes that are several years old and worn down can cause injuries to your body. Seek out a local running store and request a shoe fitting, along with advice for selecting the perfect fit. The right running shoe will offer your feet support, will improve your stride, and will prevent injuries caused by incorrect or old shoes. Make friends that run: Having friends that enjoy running can be motivational, resourceful and supportive. At times when you want to give up, skip a workout, or you are just looking for advice – the right running buddy will come in handy. 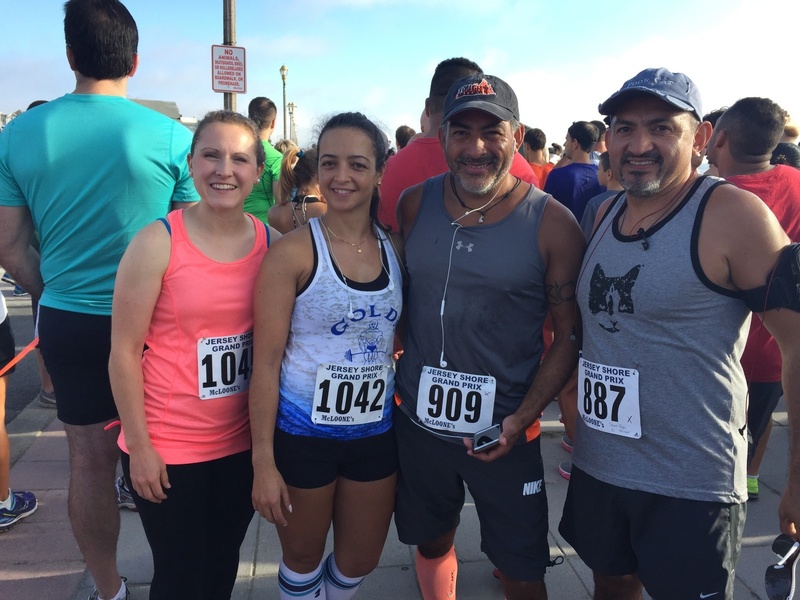 Whether your buddy is a new friend, an old friend, a running group or an organized running club – having people around interested in the same thing as you, training for a similar event, can be very helpful and supportive. Seek motivation and guidance: Motivation and guidance can be found in multiple places, including the internet, speeches and presentations, friends, and books and podcasts. When preparing for a new event or type of race I often seek out new information from podcasts, YouTube videos, books and presentations. I make an effort to learn as much information on the topic as I can. I look to professional and accomplished contestants who have made a name for themselves in that event or type of race. I also enjoy learning the how and why they chose to accomplish their goals. These stories always offer insight and motivation. 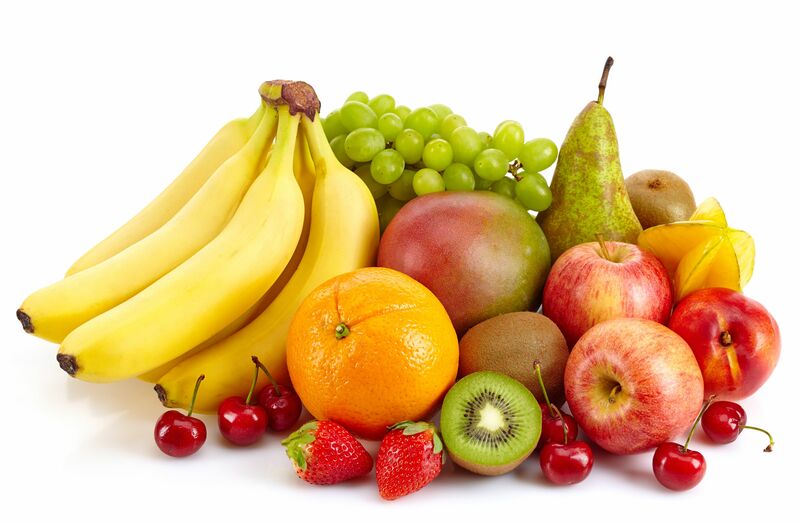 Eat and drink well: When additional strain is put on the body it is important to replenish and refuel the body. Proper nutrition and hydration will assist in improving runner’s performance, strength and overall health. Enjoy the process: Last, but not least; enjoy your running journey. This is a very precious time. Learning a new skill is not easy for anyone. Give yourself credit and have fun along the way! Whether you are new to running or have been running for years you have discovered that the shoes you wear are a hot topic. A runner’s shoe has great influence on their form, stride and sometimes even running ability. Whether you believe this to be true or not, running shoes have become incredibly popular, whether you are buying for looks, comfort, support or stability. For those seeking to purchase their shoes in an effort to improve their stride and performance there are several tips that can assist you in making your decision. Hundreds of athletic shoes are advertised and sold every day. When choosing shoes there are many reasons why you may choose one shoe over another. Some choices are made based off of the fit; some are based off of the color, while others are made based off of the amount of support (or lack thereof). To determine which shoe is right for you it is best to seek out a running shoe specialist and/or podiatrist. Either type of professional will conduct a gait analysis to determine what areas may need more or less support. The professional will then provide you with a suggestion for the style, type and support level shoe that is best for you. The reasoning for the gait analysis, and combined emphasis of running shoe importance is most believe that specific types of running shoes may aid in preventing common running-related injuries. Runners seeking advice on proper shoe selection most often visit a specialty running shoe store or visit their podiatrist. When visiting a running shoe specialist and/or podiatrist a gait analysis is often completed to determine the shape of the foot, height of the heel, landing of the foot and positioning of the foot when standing and running. The gait analysis is often done on the ground or on a treadmill. During the analysis, the shoe specialist and/or podiatrist will evaluate the runner’s foot and strike. As a runner you will soon learn that the sneakers you wear are a hot topic among other runners. Proper running shoes are known to prevent common running injuries, overpronation (the internal rolling of the ankle), supination (the external rolling of the ankle), shin splints and tight Achilles tendons. Running shoes seek to fit each runner’s specific needs based on their shoe size, speed, mileage, arch height, gait, and heel strike. When seeking to choose the right fit there are several factors that should be considered. Some common areas that running shoe specialists and podiatrists tend to focus on examining include the runner’s foot size and width, arch height, amount of ankle pronation, foot strike and stride, and how the shoe feels when worn. A running shoe specialist will ask to determine your foot size and width. Many people assume that they are the same shoe size in every shoe. However, many running shoes fit differently and often run large or small. Therefore, it is best to undergo a proper foot size fitting before beginning to try on shoes. Another factor that may also impact the foot size and width is the time of day you are trying on shoes. Our feet tend to swell during a run due to the impact being placed on the feet. At the end of the day our feet also tend to swell due to the walking conducted throughout the day. As a result, it is suggested that a proper shoe fitting is conducted at the end of the day. The arch of your foot is a common location to examine when selecting running shoes. The foot arch can either be high, neutral or flat. The height of the arch can be determined during a full gait analysis. For those seeking to determine their arch height at home the foot print test can be conducted. Step onto a wet surface using a bare foot. Once the foot is wet, step onto a dry paper towel to create a foot print. Once the footprint is created the arch height will be visible based on the amount of foot shown in the print. Generally those with a low or flat arch are suggested to wear a supportive or stability shoe. It is suggested that those with a high arch wear a cushioned shoe. This theory does not positively impact everyone; however it is commonly recommended in most running shoe stores and has been found to be beneficial to many runners. The reason a flat-footed runner is often recommended a stability shoe is to control ankle overpronation, which is an inward rolling of the ankle as the foot strikes the ground. High arches runners are generally recommended support to assist in an injuries that may occur due to the space between the foot and the shoe. Supination, or the outward rolling of the foot opposite to overpronation, is also common among high arched runners. However, it is not always the case for all high-arched runners. Avoid becoming so caught up in choosing a motion controlled shoe versus a neutral shoe that you forget to try the shoes on and evaluate how they feel. When trying on running shoes place them on both feet, walk in them, sit in them, and jog in them. The way the shoe feels on your feet while you are running is a very important factor to ensure the shoes are right for you. Therefore, before making your final purchase make sure the shoes feel secure and comfortable while running. Choosing a shoe can be quite difficult. Try not to let the shoe’s colors or style take greater importance than the feel of the shoe when it is on your feet. Also remember that not all recommendations are 100 percent true. Each recommendation from a running specialist or podiatrist may be beneficial for some, but not for all. The reason for this is that all people are different, therefore all feet are different. What may work for one person may not work for you. Choose shoes that you feel are best for you and you will be sure to love your decision. This month’s inspiring quote is from the competitive American marathon runner Amby Burfoot. “Winning has nothing to do with racing. Most days don’t have races anyway. Winning is about struggle and effort and optimist, and never, ever, ever giving up,” Burfoot once said. Most runners participate in only one form of exercise which is, you guessed it – running. Doing the same form of exercise each day is not effective in properly strengthening the body’s muscles, improving performance and preventing injuries. As a result, it is suggested that runners participate in a consistent resistance training program to properly strengthen their muscles and evenly distribute their weight. Strength training will not only assist in preventing injuries, it will also increase speed, endurance, runner efficiency, balance and flexibility. As a runner it is easy to fall into the pattern of running the same route, for the same distance, for the same amount of time, day in and day out. When we participate in the same consistent form of exercise our muscles are not being challenged. Over time the body will acclimate to these activities and will not build strength or endurance. Chief Science Officer at the American Council on Exercise Cedric Bryant reported that variety in an exercise routine allows the body to be physically challenged. He concluded in an ACE article titled, “Why is it Important to Vary My Exercise Routine,” many of the body’s physiological systems, such as the muscular system, will adapt to an exercise program within approximately six to eight weeks. In an effort to prevent reaching a plateau it is not only beneficial to alternate between different types of workouts, but to also incorporate different styles, durations, equipment and intensities. The muscles used during running must be properly strengthened, stretched and cared for in order to sustain your running ventures, reach performance goals and increase your running abilities. Strength training will create strong muscles, prevent injury, improve speed and confidence, improve running efficiency, while also allowing the body to more effectively utilize each breath. A Runner’s World Magazine article titled, “Strength Training for Runners” stated that if you want to “perform at your full potential” you need to take a comprehensive approach to your training – which includes flexibility, mobility, balance and strength training. Strength training activities can be accomplished through traditional free weights, body weight exercises, resistance machine exercises, elastic tubing, medicine balls, and even household items such as cans and jugs, the ACSM stated in a 2013 report on resistance training. The ACSM recommends that a strength training program is performed a minimum of two non-consecutive days each week. According to the ACSM, one standard strength training session should be made up of 8 to 10 different exercises that target all of the major muscle groups, and each exercise should be completed for a total of 8 to 12 repetitions. Strength training workouts general target the chest, back, shoulders, bicep, triceps, abdomen, quadriceps and hamstring muscles. Runners however tend to focus on specific areas of their body when participating in a strength training program. According to Runner’s World Magazine runners should focus on strengthening three areas; the core, upper body and lower body. Core muscles strengthen the abdominals and back. These muscles are the foundation of all movement. Therefore, a strong core create and support strong legs and arms. Lower body muscles include the soleus, gastrocnemius, tibialis anterior, quadriceps and hamstring muscles. These muscles create leg strength to withstand fast, long and difficult running ventures. Upper body muscles include the shoulders, chest, biceps, and triceps. These muscles increase speed during running as the runner pumps their arms and proportionately balances their bodies. Winter has arrived, and although the weather outside is cold your workouts do not necessarily need to be put on hold. In fact, depending on the type of indoor workout you choose, you may even have the opportunity to save time, increase your speed and endurance, and even lose weight. Trivial to what many believe indoor cardio workouts do not equate to easier workouts. There are many different options available when selecting an indoor activity. There are a variety of options including; cycling, swimming, water running, circuit training, indoor running, and even plyometric drills. Each of these activities can be completed through traditional steady-state bouts of exercise, or for improved results they can be done through an interval style method. Interval training is a common form of training among athletes and experienced exercisers. However, gyms, fitness instructors and personal trainers are beginning to take notice and incorporate interval training into traditional workouts and classes. The nationally recognized health and fitness certification organization the American Council on Exercise [ACE] defines interval training as a system of organized cardiorespiratory training consisting of bouts of short duration, high-intensity exercise intervals with periods of lower intensity active recovery. According to a 2014 American College of Sports Medicine [ACSM] consumer information committee report the benefits of interval training include; improved aerobic and anaerobic fitness, decreased blood pressure levels, improved overall cardiovascular health, improved insulin sensitivity, improved cholesterol profiles, and decreased abdominal fat. Interval training is also well-known for the increased caloric burn, decreased time spent exercising, ability to improve metabolic disorders, as wells as the increased athletic performance and speed that it creates. There are many types of interval workouts that can be completed, each varying in distance, amount of interval sessions, and length of time. The amount of time and /or amount of interval sessions should be selected based on the individual’s athletic ability and goals. Interval training can be catered to people of all fitness levels and conditions – with great results seen in those seeking to prevent or reverse metabolic disease. If done correctly and consistently, interval training has the ability to improve insulin sensitivity among those with high blood sugar through allowing the body to better utilize glucose in the body. How does interval training work? Once an interval training sessions is completed the body will continue to burn calories for a longer period of time. The excess post-exercise oxygen consumption [EPOC] is a two-hour period of time where the body works to restore itself back to pre-exercise levels, the ACSM report states. Therefore EPOC creates between 6 to 15 percent greater calorie burn once an interval session is completed. Intervals can be completed through a variety of outdoor and indoor activities including outdoor running and cycling or indoor treadmills, ellipticals, stair-climbers and stationary bikes. There are several components to consider when selecting an interval training workout. These factors include type, time, intensity and frequency. TYPE: Begin by first selecting the type of interval workout that you would like to complete [cycling, running, water running, etc.]. TIME: Secondly, select the amount of time you would like to spend completing the workout. The ACSM report suggests completing an interval workout between 20 and 60 minutes in total – this includes recovery time and high intensity time. INTENSITY: Next, choose the level of intensity, which can measured by one of two ways; the level of perceived exertion scale or by the maximum heart rate percentage. You want to determine the level of intensity you want to work out at in advance, creating a goal to work towards without stopping or slowing down. The scale measures the 1 to 10 level of perceived exertion that the exerciser experienced. Level one signifies the lowest level of exertion, such as a light walk. Level 10 signifies the highest level of exertion, such as an all-out sprint. Exercisers should aim to exercise at specific levels and then quantify their exertion upon completion to ensure they are putting forth the appropriate effort. The maximum heart rate percentage can be chosen once the resting heart rate and maximum heart rate levels have been determined. Through a series of tests, often provided by a personal trainer, one can determine their maximum heart rate level. The ACSM report suggests that when seeking to use maximum heart rate the exerciser aim to achieve be less than 80-percent of their maximum heart rate. The recovery heart rate should range between 40- and 50-percent of the maximum heart rate. FREQUENCY: When creating an interval training plan the final step is to select the frequency of the interval workout. The frequency can mean one of two things; the amount of intervals per session or the amount of interval workouts per week. An exerciser can choose the amount of interval sessions they wish to complete or they can choose a set amount of time they will spend doing the intervals. The amount of interval sessions and length of time of an interval should be determined based on an individual’s fitness level and goals. If planning on completing more than one interval session per week sessions should be carefully planned. The ACSM report suggests completing no more than two interval sessions per week, allowing at least 24 hours of rest between sessions. Cycling indoors can be done on a stationary exercise bike or in a cycling class offered at a gym. Both are effective and great forms of indoor cardiorespiratory training. The article, written by Runner’s World magazine writer Caitlin Carlson, suggests a rest between intervals for 30 to 80 seconds with six total interval sessions. This is just one example of an interval. Intervals can be completed for anywhere between a few seconds to eight minutes, and should be broken up with set rest periods. Swimming is a very beneficial cross training workout for runners seeking to provide their body with a rest from the impact of running on land. Swimming is a whole-body workout that serves as a wonderful form of cardiorespiratory activity. An example of a swimming interval workout would be to swim as quickly as possible for one to two laps followed by four slow to medium paced laps. Either repeat this set eight times or for a total of 20 to 30 minutes. Water running provides runners the opportunity to actually run without creating any impact on their bodies. Water running is often associated with geriatrics or injury. However, water running is quite common among elite athletes seeking to prevent injury and increase endurance. An example of a workout would be to complete a sprint the full length of the pool and back while wearing a flotation belt to create resistance. The sprints should be recovered with slow to medium jogging for two to four minutes. Running indoors can be tedious, however if the exercise does not run on a track this may be a great opportunity to incorporate speed into their training. An example of an indoor track workout would be an increasing sprint workout. Begin by warming up with 2 to 4 laps around the track. Begin the workout by running at high speed for ¼ of the distance of the track. Recover by running around the track once at a slow to medium pace. After the recovery continue by continually increasing the speed of the sprints until you run the entire length of the track. For an added challenge complete the workout in reverse, continually decreasing the distance. Cool down by running the track two to four times once the workout is completed. These workouts are sure to fully prepare you for all of the wonderful local spring races coming up just around the corner! I would LOVE to hear from YOU. Pleas share your thoughts on this article. Was it helpful for you? Do you have any questions? Is there a topic you would like to learn more about? Learn to fall in love with running this autumn with these 10 easy-to-follow tips for runners just starting out. There is no reason to begin your running journey by sprinting. Running is all about pacing yourself. Learn this early on. 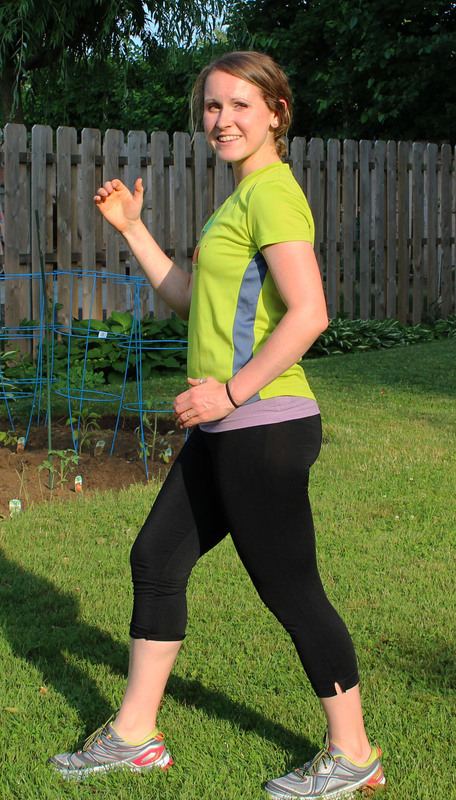 Begin your first run by walking with short bursts of jogging. If you feel comfortable with this, jog at a very low speed. As you begin to feel more comfortable running, begin to increase your speed or distance, depending on your goals. Ease into your new routine. Allow your body to acclimate to this new activity. Enjoy the sights and sounds around you while running. Try not to focus on the distance or time remaining. Take notice of all that you are able to see and experience along the way. Warming your body up before a run will improve performance and prevent injury. Start your workouts with a simple warm up such as jumping jacks, a light jog, marching in place; whatever you feel most comfortable doing for five to ten minutes before a run. Once you have finished your workout, take five to ten minutes to cool down at a slow pace. A cool down will allow the body to readjust after your activity. All cool downs should also be followed by ten minutes of stretching. If you want to prevent injuries, stretch. Your muscles will thank you. Whether your goal is weight loss, better overall health, finishing a race in a certain amount of time, or running a specific distance – it is important to select a goal. When times are tough and you feel like giving up, your goal will remind you why you started. It will also give you’re the extra push you need to try harder when you feel as though you have given your all. The form of a runner is critical in preventing injuries and improving performance. Form is your body placement during a run. New runners should get in the habit of running with optimal form early on. 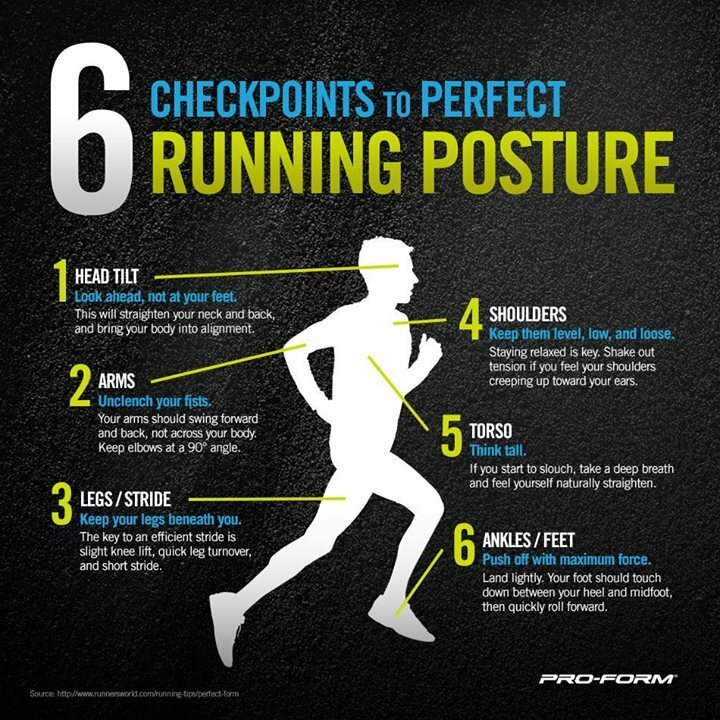 To improve your form, take notice of your posture, head placement, torso movements, arm swings, foot strike and stride length during a run. Is your back straight? Are your arms pumping to fast? Are you over striding your steps? Are you looking down instead of up? Once your goal is set, share it with friends, family and social media. The more people you tell about your goal, the more people that will hold you accountable for achieving it. It feels great to share your progress along the way and feel the support of those around you. Another great form of accountability is to recruit a running partner. Someone who will train with you and support you along the way. Training partners are invaluable when just starting out. The muscles need time to recover, especially when beginning a new routine. Days off from exercise are very important in preventing an overuse injury. If taking a full day off is very difficult for you, try cross training or yoga. This way you are able to rest the muscles used during a run while still working out your body. Running should not be your only activity. Exercise should be balanced throughout the body. If you plan on running three days out of the week, take one to two days to strength train. Balance lower body workouts with upper body. Cross training is another great way to create strength throughout the body, rather than just in your legs. Try implementing Pilates, biking and/or swimming to recruit strength from the whole body. Many new runners get confused about how much to eat, when to eat, and how often. The amount you eat should depend on the way you feel. Listen to your body. If you feel hungry, eat. If you feel full, don’t. The real focus should be on implementing natural, whole food. 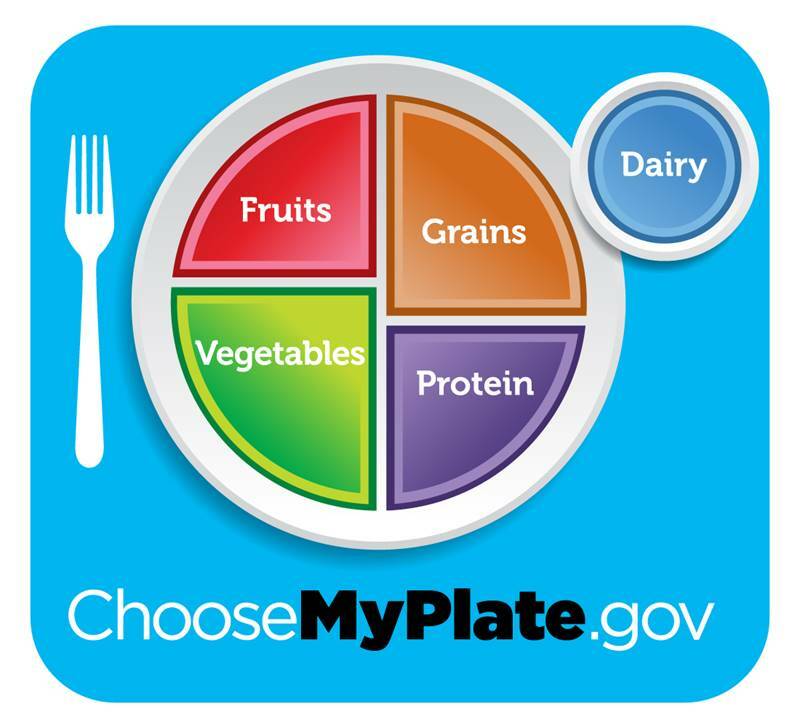 Begin including whole grains, vegetables, fruits and healthy fats into your diet, rather than just eating larger portions. Once you have chosen your goal, select a realistic training plan that you allow you to achieve it without getting side tracked. Select the date or month that you would like your goal achieved by. Mark down the amount of weeks you have to get there. And choose the distances and speeds that you will complete each week until then. Make sure your training plan is realistic and accommodating to your fitness level and available training time. Many people will lace up their old sneakers and throw on an old t-shirt for their first run. While this is great when just getting started, if you plan to continue running it is best to pick up a supportive pair of running shoes and some comfortable running gear. Comfortable shirts and shorts that do not stick to your body or cause chafing make all the difference. They also improve confidence. When picking up a dri-fit running shirt, be sure to stop in the shoe section. According to the September 2015 issue of Runners’ World magazine our feet absorb two to four times our body weight with each step we take. The more supportive your shoes are, the more impact your shoes absorb, rather than your ankles, knees and hips. Stop by a local running store and have your shoes fitted. So stop thinking about running, get out there and start doing it. Start with a jog around your block, a jog to the park, or even a walk down the street. Your first step is the most important. Running alongside other people was really encouraging. I ran much faster than I expected. I was hoping to finish in 25 minutes, running eight minute miles. 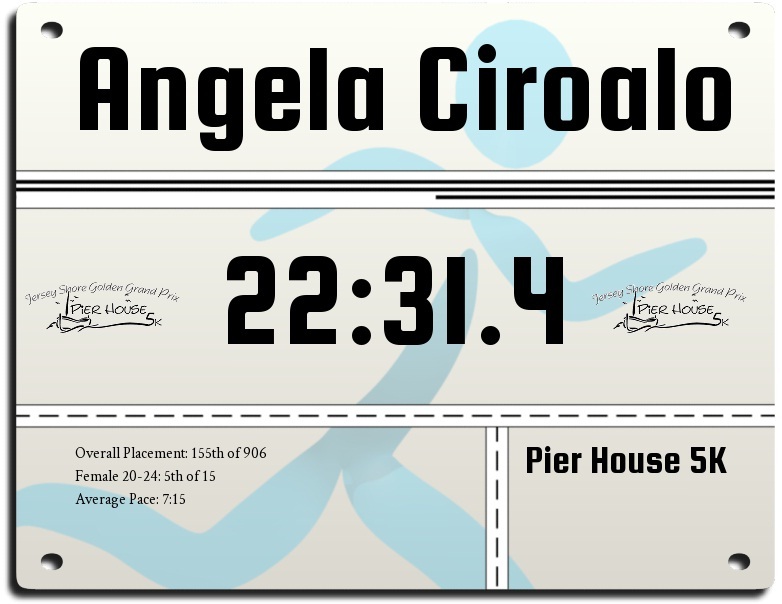 Surprisingly, I was able to finish in 22:31, running an average of 7:15 minute miles. If you are interested in running, I strongly urge you to participate in a 5k race. Races are A LOT of fun. They leave you with such a running high that you cannot wait to get out there and run some more. If there is any topic that you feel was not covered in the, “Top 10 Tips for New Runners” article, please notify me and I would be happy to include the information. Wishing you love, joy and blessings! Get outside and RUN today. Things are heating up at the Jersey Shore – quite literally actually. Summer has finally set in and runners alike are enjoying every bit of it. Despite the welcoming temperatures and sun’s refreshing beams, there are some factors that must be considered before jumping onto the pavement to run these next two months. Heat illness can occur to anyone participating in outdoor activity during a hot day. The Centers for Disease Control and Prevention [CDC] reported that between 1999 and 2010 an average of 618 people died in the United States each year due to a health-related illness. The CDC further stated that heat-related deaths are more common in the United States than deaths due to tornadoes, earthquakes, floods and hurricanes combined. The cause of a heat illness is often attributed to the body being unable to regulate the internal temperature controls, medicinenet.com reported in a June 2015 article titled, Hypothermia. During high temperatures, the body will attempt to cool itself down through the evaporation of sweat. Issues occur, however, when conditions such as high temperatures and humidity levels prevent sweat from evaporating, leaving the body in an overheated state. Sweat is unable to evaporate as quickly in high heat/humid conditions, preventing heat from being released. There are several types of heat-related illnesses. 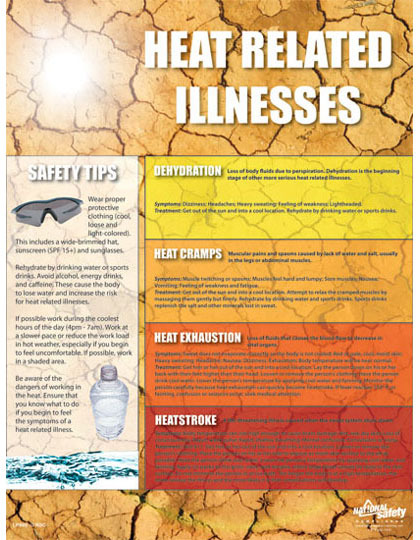 Heat-related illnesses include; heat cramps, heat syncope, heat exhaustion, heat stroke, and hypernatremia, according to the United States Health Service Commission Corporation [HSCC]. Heat cramps are pains most commonly in the quadriceps, hamstrings and calves, caused by dehydration, electrolyte loss or inadequate blood flow to muscles. Heat syncope is the result of decreased blood flow to the brain. Heat exhaustion is a shock-like condition caused due to the body’s inability to acclimate to the high temperature and level of exercise, combined. Hyponatremia, or water intoxication, is the attributed to excess water intake without proper electrolyte consumption. Common symptoms and signs of heat-related illness includes; profuse sweating, dizziness, faintness, increased heart rate, nausea, vomiting, headache, extreme thirst, chills, and even loss of consciousness. The most severe of the heat-related illnesses is heat stroke. Heat stroke occurs when the body temperature is too high and the thermal regulatory mechanism is overwhelmed, according to the HSCC. 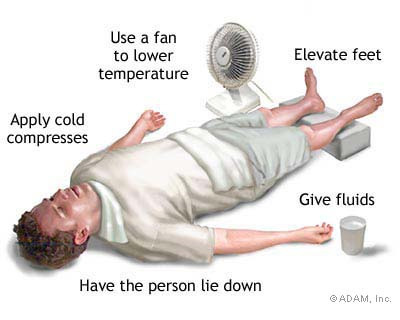 Heat stroke can occur due to fluid depletion or inability to absorb fluid. Key signs include hot skin, pale skin, high pulse, high respiratory rate, decreased urine output, a temperature over 104 or 105 decreased Fahrenheit and pupils that are dilated or unresponsive. 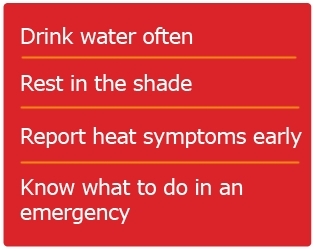 Most of the above stated heat illnesses can be treated by moving the ill person to a cool, shaded area, placing a wet towel on their skin, elevating the feet, and offering them water and/or an electrolyte-filled beverage. In the event of a more severe heat illness, call emergency personnel immediately. There are a number of ways to avoid heat-related illness during exercise this summer. The first and foremost action should be, however, to check the heat index. The heat index is the air temperature and humidity levels – combined, to provide a description of how the temperature will feel, according to the United States Health Service Commission Corporation [HSCC]. 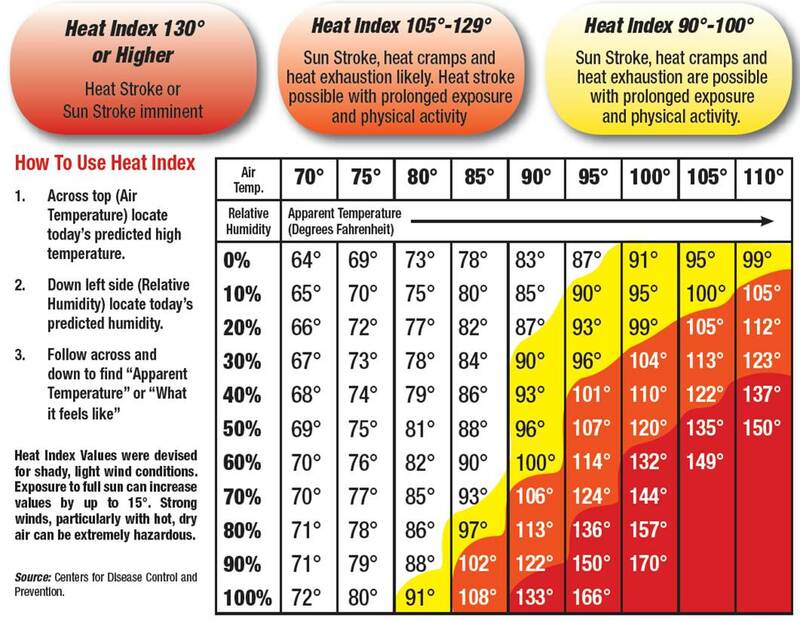 The heat index will determine whether or not it is safe to participate in outdoor activity. 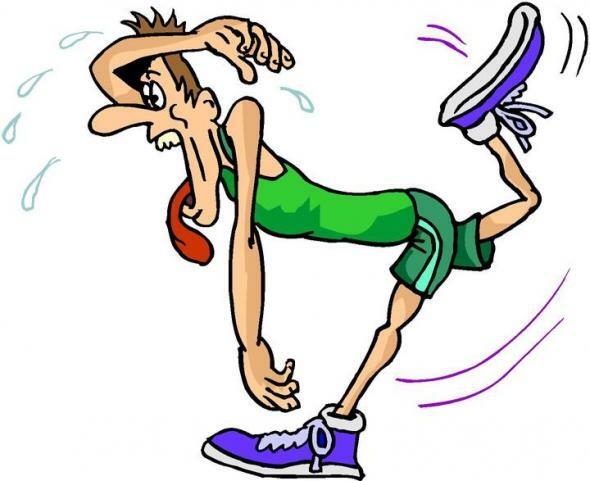 When temperatures exceed 90 degrees Fahrenheit, runners should not partake in outdoor exercise. To avoid the steaming temperatures of the hot summer days runners can exercise in the early morning or late night hours. 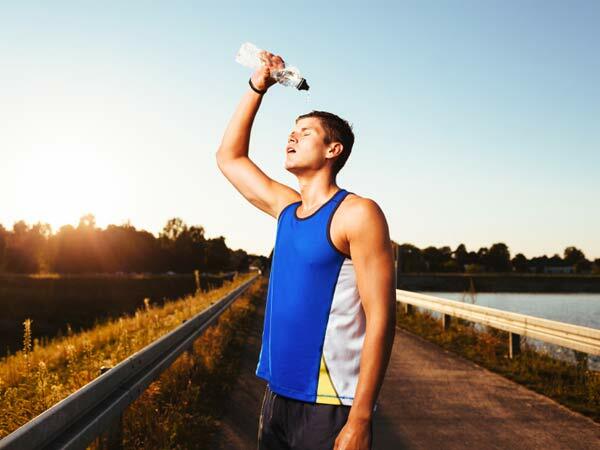 If temperatures are hot, but not hot enough to refrain from participating in exercise, runners should hydrate well throughout the day and during their run, wear lightweight clothing, and exercise for a shorter and slower distance than they regularly do. Safety precautions should always be taken during hot temperatures in an effort to avoid injury and illness. 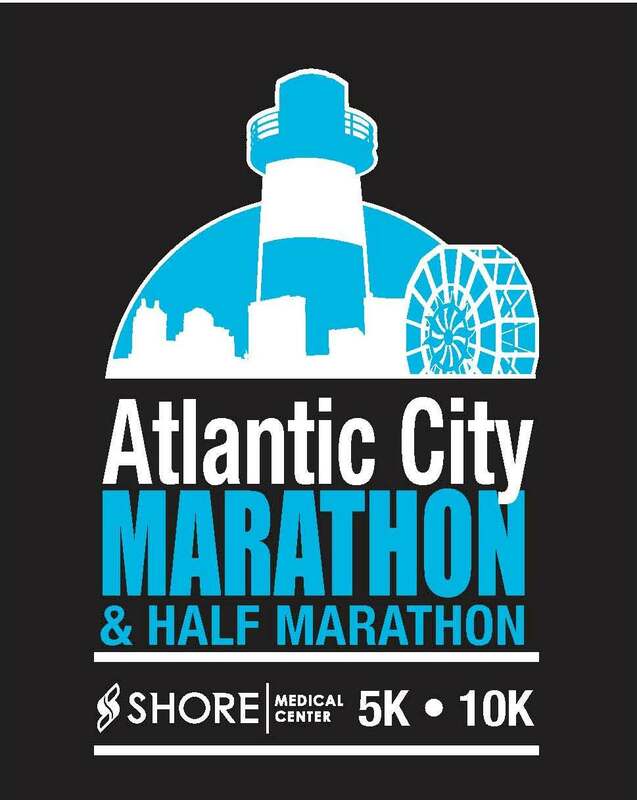 This summer I will be training for the Atlantic City Marathon, which means I will be outside running – a lot. In an effort to avoid risk of injury I will be running after sunset and hydrating with additional electrolytes and water throughout each day. During shorter distance runs I often do not take a water bottle or Camelback water pack with me, although due to the higher temperatures I will. Taking precaution during exercise is important – not only to avoid injury – but also to improve performance. The heat can have a severe impact on a runner’s performance, which creates a greater reason to take precaution during these beautiful, hot summer months. If you have been running outside, share with me some of your warm weather outdoor running tips/suggestions. I would love to hear from you! Check back in soon to hear more about my training schedule and plans! ❤ Wishing you love, joy and blessings. As a runner living along the Jersey Shore I commonly pass other runners by the beach or throughout local trails. Some are running slow, others running fast – one thing that I can’t help but notice is the many differences in each runner’s form. A runner’s form is the position of their spine, head, arms, legs and feet while running. Form is an important component of running that I do not think receives enough attention. When first learning to run people often focus on the length of time they are able to complete a run or how fast they were, meanwhile the movement of their body is often overlooked. 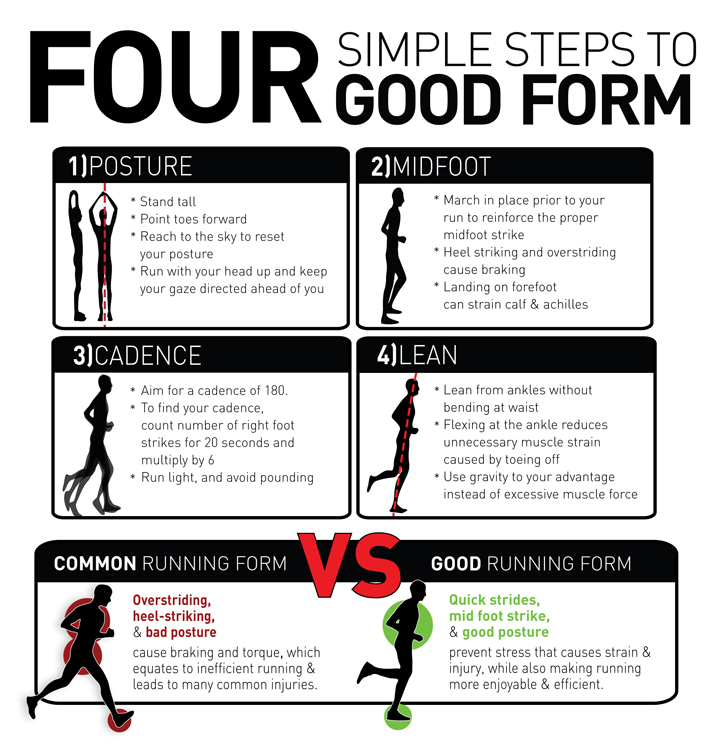 Form is important because the position of the body can greatly impact a runner’s performance, their instance of injury, and even their level of enjoyment. However, as time continued, and my knee pain increased, I realized the importance of proper running form. The 10 most common running mistakes, according Iloverunningmagazine.com, include; looking down; keeping the shoulders and body tense; clenching the fists; rotating the torso; placing the arms in the “chicken wing” position; leaning the torso too far forward; over-striding; heel-striking; over bending the knees; and breathing shallow. Most runners will make one or more of these mistakes every day. Now that you are aware of these common mistakes let’s take a look at how to fix them – and help you achieve peak running performance. We will address the placement of your entire body, since running is a sport that includes the entire body, but first we will begin with the head. Proper running form includes an upright head looking forward. When a runner is looking down, their neck and back muscles become strained trying to support their 7 to 10 pound head. Over time, the strain can turn into an injury, ultimately damaging muscles and causing unnecessary pain. In an article published on WorldRunning.com, an international running site powered by the International Association of Athletics Federation, it was suggested that runners keep their head in a straight and neutral position, allowing the head to align with the shoulders and back. Maintaining a straight and upright head will improve posture, performance and experience. It will also allow you to notice the beautiful scenery around you, the other smiling runners – and prevent you from running into any poles or cars. Runners often arch their back and raise their shoulders, as if they were typing at a computer. Running in proper form includes rolling the shoulders back and keeping them square with the chest. Another good tip to keep in mind is to allow the shoulders to remain loose and free from tension. The spine can move in many different directions depending on the placement of the runner’s body. Runners can achieve optimal performance when running with a straight, upright spine. A common term used to explain optimal posture is to “run tall” or to run with a string pulling the head and body up straight. While running the arms are used to balance the body while the feet lift off the ground. Optimal balance and running performance is created when the arms move at the same pace as the feet, the arms are moving towards the shoulders and back down towards the hips, and the hands are loose. A few things to avoid include running with arms across the body, keeping the hands close to the shoulders, and clenching the fists. 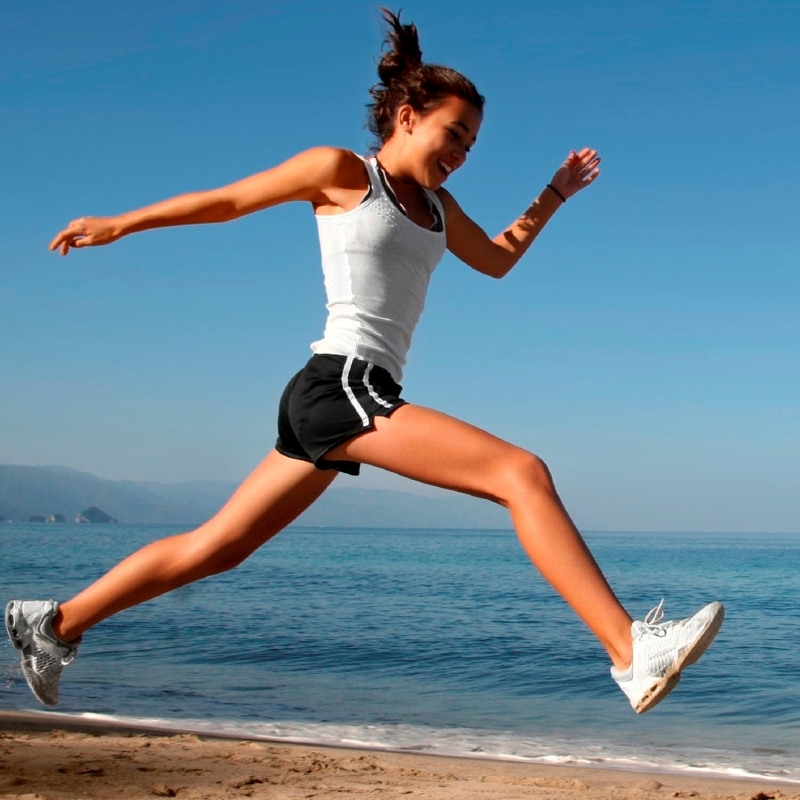 Running should be a smooth and relaxed, symmetrical movement throughout the entire body. In an article published on WorldRunning.com, it stated that optimal running performance is achieved when a runner’s strides are short and the knees have a slight bend and lift. Making shorter strides, no further than your knee, will cause your feet to land under the body, opposed over-striding the leg away from the body. In recent years, much debate has been expressed between the differences in landing on the heel or the forefront of the foot. 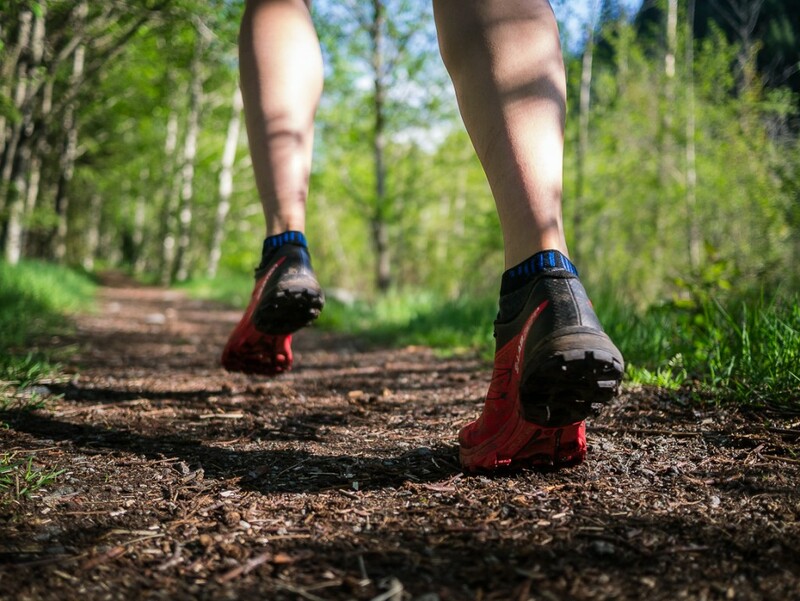 WorldRunning.com stated that landing on the forefoot area of the foot is “the most efficient way of running” to prevent injury and achieve peak performance. Due to the suggested benefits I decided to give it a try. What I found was that my knee pain disappeared, my form straightened and my performance improved. Physical therapist Jay Dicharry from the University of Virginia’s Center for Endurance Sport stated in a Runners World Magazine article that when the foot lands on the forefront, the ankle and foot will absorb the force of the landing and create a spring in each lift off. When the heel lands, however, the landing is a “stiff system” which does not allow the ankle to “give,” Mr. Dicharry said. Therefore, when the heel hits the ground the shock will be shifted to the knee. This is not to say that the heel strike is wrong. Some runners prefer it and have not had any issues as a result of landing on their heels. Each of these tips do not have to be incorporated all at once. If there is one that you prefer to the other, try that first and make changes gradually. Transforming the way you run can make lasting changes in your performance, posture, health as well as your love for the sport. “Believe that you can run farther or faster. Believe that you’re young enough, old enough, strong enough, and so on to accomplish everything you want to do. Don’t let worn-out beliefs stop you from moving beyond yourself,” running champion and author John Bigham once said.